There are numerous elements to your life and career as a massage therapist, and surprisingly few of them have to do with giving a bodywork treatment. You’re likely juggling all the elements of running a business—paying bills, organizing client files, ordering supplies, and keeping a clean office—not to mention marketing your practice to receive more client referrals. You’re likely also trying to take care of yourself and maintain some work-life balance so you continue to enjoy the work you do. Developing good habits in your practice can help you stay accountable not only to your clients, but also to yourself. There’s no need to make dramatic changes, since habits are no more than repeated behaviors. Start by doing an activity just once and continue for a few days. Before you know it, your consistency will turn into habit. What works for others may not work for you, so take care to tailor your approach to your own lifestyle and abilities. Are you a person who thrives on getting up with the sun? Waking at the last possible minute and drinking no less than three cups of coffee? Maybe things have been so erratic you’re not even sure whether you’re a night owl or early bird. Some people find it helpful to use a personality test or lifestyle philosophy to learn more about how to live their best lives. Examples include the Myers-Briggs personality types, Chinese medicine, Ayurveda, astrology, the Human Design system, and more. If it’s valuable to begin developing habits based on what you find to be your type or classification within one of these systems, numerous internet resources can help you determine where you fit in the philosophy and provide tips for living your best life accordingly. If you’d rather forge your own path, try simply paying attention to what makes you feel good. If your mind is sharper in the mid-afternoon, save your billing, paperwork, or personal study until later in the day when you have finished your appointments. Avoid scheduling clients just after noon if, like many people, you tend to “crash” after lunch. Instead, try recharging before you greet your next client with a 20-minute nap. Tuning in to what your body and mind crave in terms of rest, exertion, stimulation, and relaxation will help you prioritize self-care, an essential part of any routine. Writing can be a powerful tool for enforcing what we know and holding ourselves accountable. 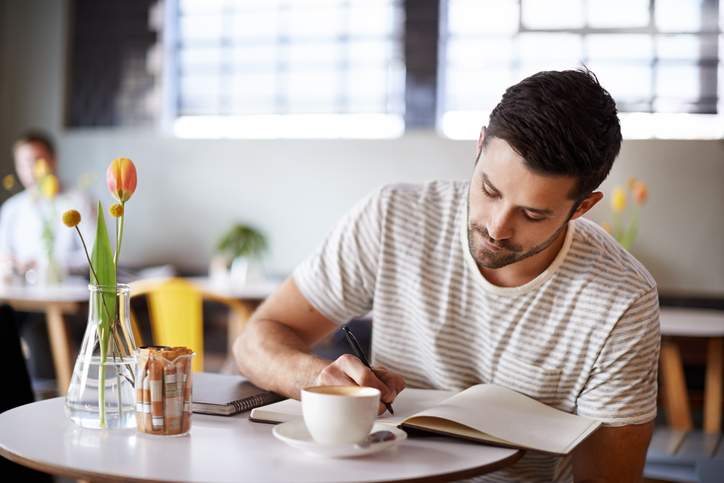 Research supports the practice of self-reflection through journaling every day, and some of the personality philosophies listed above recommend it as a daily activity. But unless you would like to make a habit of it, there’s no need to commit to long entries every day. File intake forms for each client right after their appointment. Update office inventory list at the end of every day. Walk outside for 30 minutes before work. Do one thing each day to market my practice/reach more clients. You might also include some notes about what you notice is working for you as you pay more attention to your existing habits or the things you want to change. Even if you just do this once, it can be extremely valuable to revisit your findings later and measure progress. Creating good habits might be all about experimentation at first, unless you have previously done the work to learn what habits best serve you and your practice. When something doesn’t work, modify it. For instance, if you find it’s impossible to nap for 15 minutes after lunch, try a seated meditation for five minutes instead. To the best of your ability, build your schedule and practice around your habits as much as you build your habits around your practice. The monetary bottom line of your business may take precedence on paper, but meeting your own needs ultimately determines how you are serving your clients, working efficiently, and maintaining your own health and wellness. One day is rarely like the next when you run your own practice, and often you may need to compromise some consistency to be productive, keep appointments, or stay available to clients. Try not to feel like you failed if you experience a day—or week—of broken habits. When you know what works for you and what habits help you be successful, it will be easier to revert to good habits. The body thrives on consistency. As any massage therapist knows, every system within the body has its own routine—the jobs it carries out when it’s functioning properly. Your digestion, sleep cycle, and circulation are more likely to work predictably and efficiently when supported by good habits. Previous Previous post: What Is Cupping? How Can It Benefit My Health?